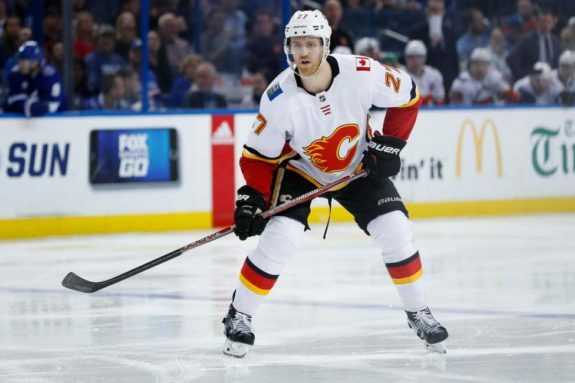 The Calgary Flames have traded Dougie Hamilton, Micheal Ferland and Adam Fox to the Carolina Hurricanes for Elias Lindholm and Noah Hanifin. The trade was broken Saturday during the 2018 NHL Draft by Insider Bob McKenzie. Looks like a five player deal. Lindholm and Hanifin for Hamilton, Ferland and Fox. After being taken with the fifth-overall pick in the 2013 NHL Entry Draft, Lindholm has struggled to produce points at the level that a team would like out of a player taken that high in the draft. Still, the potential and ceiling of Lindholm is high and it’s been noticeable since the day he made his debut as an 18-year-old. Part of what’s limited his production has been a lack of quality teammates to play with. For the Hurricanes, a change was needed and has been in the works for months. While the team would have liked to have retained Lindholm for the long-term, a mutually agreed-upon contract simply couldn’t be met and it ultimately led to the two sides moving on at the 2018 Draft. While Lindholm’s career-high in goals in 17 and his career-high in points is 45, his ability to produce primary assists cannot be ignored. Coupling that with his versatility and ability to play both on the wing and at center as well as his ideal size at 6 foot 1 and 192 pounds, Lindholm is the type of player that most teams covet on paper. Whether or not he ever reaches his potential is unknown but the first step to figuring that out was to get him out of Carolina to be teamed up with players who can put the puck in the net. Hanifin has played in three seasons in the NHL since being drafted with the fifth overall selection in the 2015 NHL Entry Draft. Though his defense hasn’t yet been up to par for what teams would expect out of a top-five pick, Hanifin has shown improvement in each of his first three years in the league. He also has some offensive pop and has room to grow when paired with better players around him. 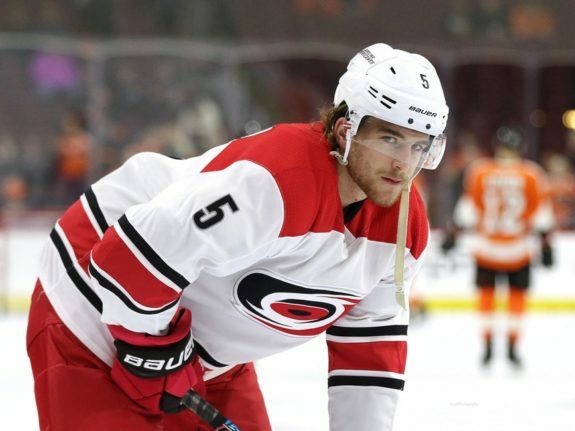 As a restricted free agent, Hanifin will be looking for a new contract this offseason. At 6 foot 3 and 206 pounds, he has the size that teams covet in a modern-day blueliner while also possessing the mobility and first-pass necessary to succeed. Dougie Hamilton was traded to the Flames just a few years ago when the Boston Bruins were unable to come to terms with him on a deal when he was set to his restricted free agency. Since being traded to the Flames, Hamilton has only gotten better as a defender at the 6-foot-6, 210-pound blueliner has scored 12, 13 and 17 goals in the last three seasons respectively. In his career, he’s scored 64 goals and 220 points in 423 games and has looked every part of the top-pairing defender he was touted to be coming out of the OHL in 2011. While Hamilton has never been the No. 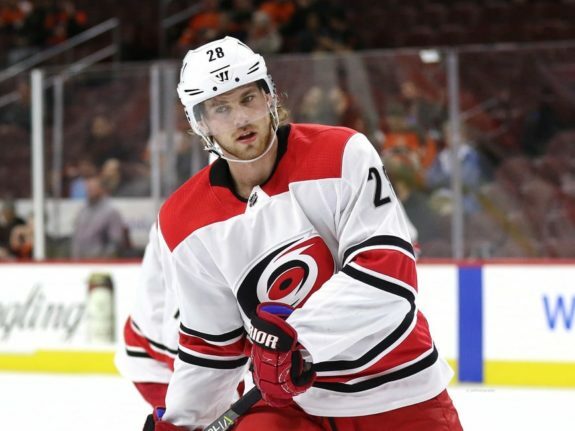 1 option on a team with the Calgary Flames having a plethora of top-four capable defenders on their roster, Hamilton won’t have to suddenly step up in Carolina as the Hurricanes have done a good job at building their team up with young, capable defenders. In Fox, the Hurricanes are getting a 20-year-old defense prospect who has excelled at Harvard University. A third-round pick from 2016, Fox’s ability to produce offense has come down to his intelligence, quick strides, elite vision and play-making ability. He’s also been able to score with six goals in each of his first two seasons at Harvard. 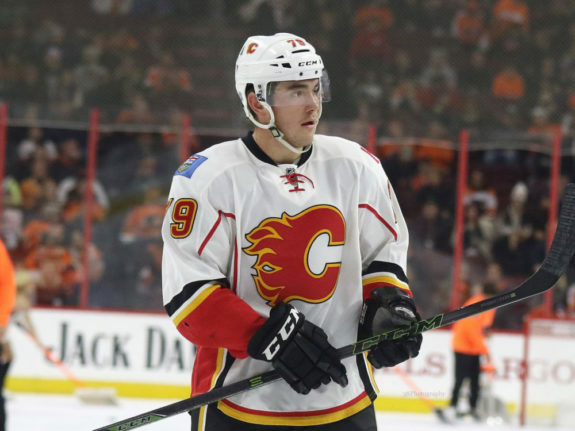 At 26 years old, Micheal Ferland is just entering his prime in the NHL. While he’s always been a decent two-way player, he broke out in a big way in 2017-18 when he scored 21 goals (the first 20-goal season of his career) and 41 points in 77 games. He should add some versatility to the Hurricanes and help ease the loss of Lindholm in the team’s lineup. The Flames were very high on Fox and have been since they drafted him but moving him was likely a necessity to facilitate a move that landed them players of Hanifin and Lindholm’s caliber.